Real Madrid are reportedly lining up a £90million transfer bid for Juventus forward and top Manchester City target Paulo Dybala. 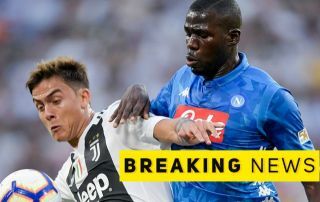 This looks like being a huge blow to the Premier League giants, with Dybala topping Real’s list of targets and with a source claiming the player himself has long been keen on a potential move to the Bernabeu, according to the Sun. The report suggests Pep Guardiola is a long-time admirer, however, so this is undoubtedly a big blow for him and for City. Having fallen behind Liverpool in the race for this season’s Premier League title, it seems clear the club will need to continue showing ambition in the transfer market. City had a relatively quiet summer, only bringing in Riyad Mahrez, though he’s not made much of an impact so far. Paulo Dybala to Real Madrid over Manchester City? Dybala could have been an ideal long-term replacement for Sergio Aguero after showing himself to be a world class performer in Serie A down the years. However, he now looks more likely to become the next Galactico at Madrid, who need a top class signing up front next season after losing Cristiano Ronaldo to Juve last summer.